Carers are gaining support and development in Fermanagh, thanks to a grant from Big Lottery Fund. Belleek Community Carers Group and Tempo Community Playgroup are among 11 groups in Fermanagh sharing in a total grants rollout of £98,782 from Awards for All. It is part of a Big Lottery Fund grants windfall of £769,369 to 91 groups across Northern Ireland (see full list of awards). 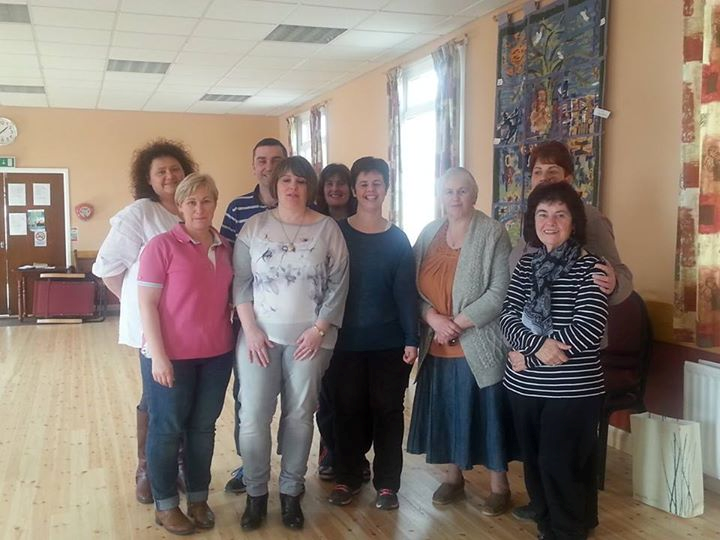 Members of the Belleek Community Carers group that won an Awards for All grant. Belleek Community Carers Group, supports carers in Belleek and the surrounding area. They are using the £7,655 to offer a range of activities and classes to carers in the area. Janice Ferguson, chairperson of Belleek Community Carers Group, set the group up as she knew a lot of people who were caring for a child or adult with special needs or illnesses in their own homes with little or no support. Janice has three children on the autistic spectrum. “The carers in our group deal with varied diagnoses in their families but the one thing we have in common is the impact caring for our loved ones has on our lives,” she said. “None of our carers want recognition; we just need awareness, information, financial and emotional support and most importantly, friendship. The Awards for All grant of £7,655 will cover a range of activities for the group including guest talks, social outings, complementary therapy sessions, cookery lessons and IT courses. Tempo Community Playgroup also received £9,181 from Awards for All. They are using it to provide equipment for children with special needs to stimulate sensory and motor skills, language and physical development. Maguiresbridge Pitch Development and Management Committee provides social, educational and recreational activities for members and the wider community in Maguiresbridge. They received £7,544 for a community fun day. ← Ethnic minority communities are benefitting from grants from the Big Lottery Fund.